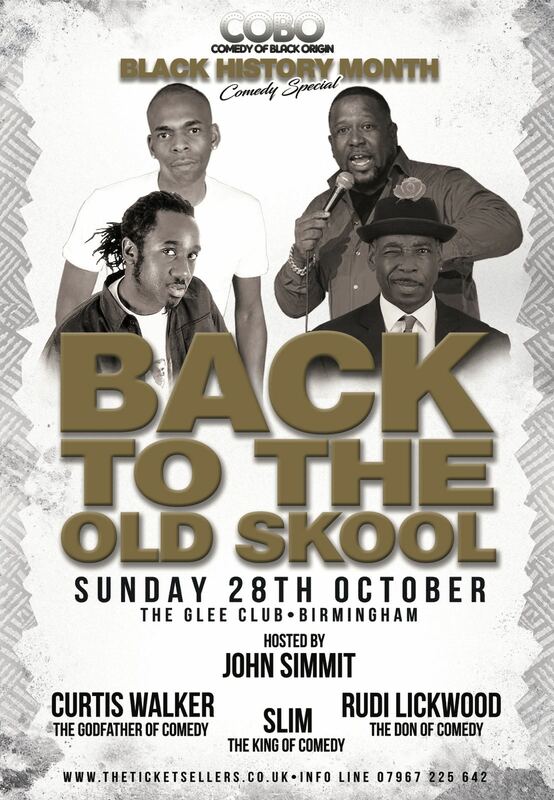 Back To The Old Skool brings a Black History Month Special with acts from your favourite old skool comedy shows such as Real McCoy, Blouse and Skirt, the A Force and more . Curtis will also be taking questions alongside the other comedians about their journeys through Comedy after the release of his warts and all book "Still Here"
Get your tickets early this will sell out!!! !